Rockwell and Janus describe Costa Rica as, “the Switzerland of Central America—an enclave of peace, surrounded by tumult.” (Rockwell and Janus, 2003: 108). This is because Costa Rica has had no standing army since 1948, the country’s previous President, Dr Oscar Arias, won the Nobel Peace Prize in 1987 for his work in brokering the Central American Peace Accords, and the country has enjoyed gender equity and human development scores, which are more favorable than simple GDP per capita figures would lead us to expect, and which dwarf its war-ravaged neighbors in Central America. Moreover, Costa Rica has been leading the way in trying to mainstream environmental issues into international diplomacy and the country proactively brands itself to the international environmental tourism market. Therefore, given its political and social stability, Costa Rica provides China with a solid platform to build a greater regional presence. 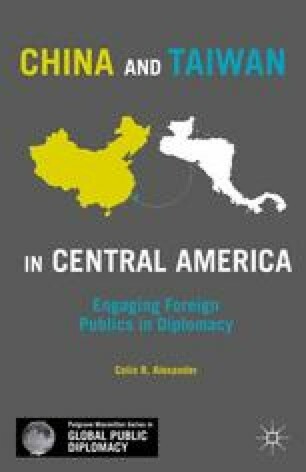 Indeed, commentators have remarked that China’s activities should be seen as both attempts to influence Costa Rica and those on Costa Rica’s periphery (Brennan, 2008a; Herrera, 2007).